Clarendon Block contained Main Hall, Gymnasium, Changing Rooms, Dining Room,Library, Music Room, and three form rooms. Morison Block contained the Pottery, the Art Room, Craft Rooms and five form rooms. Altham Block contained Woodwork and Metalwork Rooms and two form rooms. Capel Block contained two General Science Laboratories, Geography Room,and two form rooms. Carpender Block contained Domestic Science Kitchens, a Needlework Room and two form rooms. The school catered for a variety of subjects to cover a wide range of ability and aptitude. It prepared candidates for the S.W.Herts Area Certificate, The Royal Society of Arts Group Courses, and the General Certificate of Education. Children who showed an aptitude for foreign languages were taught French or German from the first year onwards. Girls were encouraged to join in Technical work on a voluntary basis in addition to those subjects normally studied by girls. Technical Courses also existed for boys in the Fourth Year, but they could choose anything from Cookery to Gardening as a special practical subject when they reached that year. Homework was compulsory for General Certificate of Education Forms and was set at parents’ request in other forms. There was regular promotion between forms each term to encourage children to reach the highest standard of which they are capable. Parents were asked to send a written note with the child on the day the child returned to school. Children were expected to be inside the School grounds at 8.55 a.m. in the morning and 2.00 p.m.in the afternoon. No child was excused from games, gym or swimming without a note from the parents. If the child was to be excused for any length of time, a doctor’s certificate was to be sent to the school. Parents who wished their children to have school lunches were to send the money (3s. 9d.per week) to school on Monday mornings. Children were strictly forbidden to leave money or valuables in the cloakrooms, lockers or desks. Children were expected to maintain, both inside and outside the school, the high standards of behaviour which were set by the school when it opened. The School uniform was maroon and grey and was obtainable from Clements Ltd (who were at that time in The Parade. Watford). The list below show what was considered necessary for each child. When a child already had, for example a pair of black shorts, it was obviously better for them to wear these out first, and buy a pair of blue ones later. Patterns of material for blazers could be borrowed from the School in order to match the colour for knitting wool etc. All articles were to be clearly marked with the owners name. Navy blue shorts – in good strong material were available at school – 6s. 6d. Gym shoes – crepe soles were preferable to black rubber since the latter marked the floor. Swimming trunks in maroon, navy or black. If boys were chosen to play for the School, it was hoped that they would be able to have white flannels and a white shirt. The School - named after the Earl of Clarendon who was the first Mayor of Watford, and also Lord Chamberlain to the Queen until 1953. Further buildings and a swimming pool and observatory were added to the Clarendon site at later dates. This page was added on 21/01/2011. Mr Templeton/geography and Mr Methven/history. We were taught a wide range of subjects including Rural Science, Statistics and Commerce. Every morning there would be assembly after registration which included singing hymns – how times have changed. Do you remember Mr.Methven that taught History – he would throw chalk at you if he thought you weren’t paying attention or Miss Spurden who I seem to recall taught English and she would hit you over the head with a book (a big one!) Can’t imagine that happening now. Whilst in Spain a few years ago in a place called Caposol, I meet a lady in a wheel chair who was in my year, and new every thing about me and the school in the 1950,s. Wish now i had kept in touch as my memories of school are very dim. I remember a maths teacher who used to throw wooden board rubbers at you if you did not pay attention,I think his name was Mr Shaw? Left school 1956. Frau Stevens was a very good teacher.She taught me German and the class performed a small play in german. I played das the father and not sure who played die mother. We had a great time. I also remember the late great Mr Templeton. We were getting weighed and measured when, I think, it was Linda Coombes shouted ‘Sir said be quiet’ and I piped up ‘who said that Lover Boy’ Straight to the gym Porter he shouted and I got 6 of the best. Cor that hurt. As the girls knew he was a good looking chap.Another teacher Mr Warner, metal work, explained that a metal nut was the female and the bolt was the male as the male always goes into the female. At the time never knew what he meant, so asked me dad who clipped me around the head. I soon learnt what it meant. Roger Elliott un describable teacher one of the tops. Headmaster Stewart great at teaching algebra and history in 3/4 years. I enjoyed my time at Clarendon. Just made recent contact with Susie Butler(nee Gent) and great to talk about old times. How well I remember Frau Stephens as she was my form teacher and German language teacher in Year 2, I think. Jennifer French and I have re-connected over the past seven years and we both agree that Frau Stephens was an incredibly inspiring teacher. A message for Mel Stevens you state that you have photos for when you left in 1958 – Have you any that include my wife Barbara Reid nee Hawes who I believe left at the same time. I was a pupil in 1955 from Sept to December. No your memory does not fail you. Frau Stevens was the Miss O’Masta listed in the staff list above. She married (I think) shortly after I started at Clarendon around 1955/56. Again, my failing memory needs help. Did I have a German teacher called Frau Stevens (Stephens?)? I seem to remember that she left before the `O` levels to have a baby. I don`t think the PE teacher had anything to do with that one. We used to start the class with: “Guten tag frau Stevens”. She replied “Guten tag kinder”. Then we replied: Wer setzen und wer sitzen” (or something like that). Is it my failing memory or did Sid Winters spread OMO powder on the floor during the dancing lessons to show footwork? 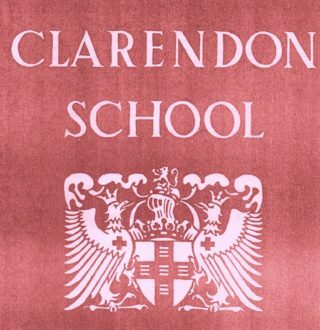 I left Clarendon in 1963, but I too, have kept the original Clarendon School Handbook, together with my 1st and 4th year class photos, which I have posted on this website – does anyone recognise anybody from them? Such wonderful memories, I attended Clarendon from 1963 to 67, Mr Methven,Bell, Fuge, Teasedale, Crates, Elliott, Hallworth, Wilkinson and of course the dancing Sid Winter.Ballroom dancing was such fun.The grounds were fantastic and when it snowed I remember being out there for most of the day. Sad now that South Oxhey has no schools for older children to attend. I left in 1963 there were some distinctive teachers Mr Crates , Fuge , Bailey, Irons, and the pain Templton. Peter Swain is right Brian Crockett is in the photo an old boys basketball team he also played in the oldboys football. I was a very close friend and neighbour, but now I am living in Australia. I hope Peter Swain still remembers me as I do remember him and his brother as a teacher. I was also accused of destroying the crusader and was taken to South Oxhey police station and sent home as I was with somebody all evening when it happened, I never did it and to this day still trying to find out who set me up. The statue was the ‘Crusader’ which stood outside ‘Clarendon ‘ block facing the playing fields. All photographs are very welcome and very popular on ‘ Our Oxhey’. I left the school in 1958 I have school photos taken before we left, let me know if you would like me to send them to you. Can anybody remind me if there was a statue outside, I think Clarendon block. I have discovered that Mr Shaw is still alive and well. I shall be writing to him shortly.If he replies and if he remembers me I will with his permission add any response to the site. I vaguely remember Miss Platt as my form teacher in 2nd or 3rd Form and George Teasdale as Form & Geography Teacher in The 5th. “Basher ” Bailey was our Tech Drawing Teacher and Fred Warne accompanied Roger Elliott and the School Band on our Tour of Innsbruck in 1963. Does anyone remember a great young teacher Mr Nelson who stayed a short time in the early 60s and was presented with a golf club by the boys upon his leaving the school? I attended Clarendon School from September 1957 until Christmas 1962 together with my twin brother Colin. Our first form teacher was Mr.Gill ( 1G ), and in subsequent years we had Mr.Brookes, Mr.Murray, Mr.Teasdale and finally Mr.Ricketts. I remember Peter Swain very well indeed as we had sat together for many years starting at Primary School ( Little Furze ). Peter was very accomplished at so many things, especially cricket and I remember he had a soft spot for Somerset. I remember most of the teachers from the prospectus supplied by Susan Waller and recent additions by Christine Lewis. Other teachers I can remember were Mr.Murray, Mr.Warne, Mr.Hinchley, Mrs.Dodd (nee Tuttil ? ), Mrs.Brown and Mr. Scofield. Mr.Murray I think taught Geography in Carpenter block as well as being our third year form teacher. Mr.Warne taught Melalwork in Altham block and was affectionately known as Fred. Mrs.Dodd taught History in Morrison block. Mrs.Brown taught German in Morrison block. Mr.Scofield taught Chemistry in Capel block. I remember Mr.Sellers very well. He was a very good cartoonist and had a lot of work published and once appeared on the Eamon Andrews Show in the early or mid sixties. Another teacher was Susan Platt who taught P.E., but she was probably best remembered for winning a Silver medal in the 1960 Olympic games in Rome. Further to my previous contribution it appears that Susan Platt actually finished seventh in the javelin event at the Rome Olympics after a technicality ruled out her throw which could have won the silver medal. However, it appears she did go on to take gold in the Commonwealth Games in 1962. Such memories. I remember several of the teachers mentioned and I also remember a wonder English teacher Mr Ricketts; a brilliant Maths teacher Miss Wright; a French and RI teacher Mr Brookes and Mr Teasdale who taught Geography. I used to live in Liphook Road which is very near to the entrance by the Youth Club and as I return to South Oxhey regularly (my brother still lives there) I have been saddened to see the demise of Clarendon and its playing fields and watched the building of the present housing estate. Thank you John, most informative, I had looked up ANSON and came to same conclusion, but you never know with names. I had thought perhaps the names had come from someone with more of a local connection as with the other ‘blocks’. Having consulted my historian brother, Peter Swain, last night, I have looked up the names on Wikipedia. I’m fairly confident that your “New Block” at the southern end of the site, ASCHAM, was named after Roger Ascham 1515-1568, an English scholar and writer, who was famous for his theories of education. He acted as Princess Elizabeth’s tutor in Greek and Latin between 1548 and 1550, and served in the administrations of Edward VI, Mary I and Elizabeth I. Better look out for him in a forthcoming episode of “The Tudors”!! The ultra-modern ANSON block, at the opposite end of the school, was surely named after George Anson, 1st Baron Anson 1697-1762, PC FRS RN, British Admiral, who was noted for his circumnavigation of the globe. As Admiral of the Fleet, Anson played a major role in the deployment of the Royal Navy during the Seven Years’ War, up until his death at the age of 65. Thank you John, you have answered a question that I had been thinking about. I could not recall the name of the block next to ‘Capel’ that came into use just before I left school. We only new it as ‘The New Block’, it must have been named after I left. Any idea where the names ‘Ascham’ and ‘Anson’ came from? It is interesting to compare the list of the teaching staff with those colleagues I recall working with on my initial stint at the school in January 1962. Only Messrs Stewart, Shaw, Brown, Elliott, Sellers and Sykes were still in post, with the inimitable Mrs Spinks! The school numbers grew throughout the 1950s to a maximum approaching 1,100 in 1960/61, with a corresponding expansion of the teaching staff to nearly 60, which included an appreciable group of folk from the Principality! Ascham Block (General Science, Physics and teaching room) was added at the southern end by 1958, alongside a sizeable greenhouse. The expansion in pupil numbers resulted in a large development at the opposite end of the campus, Anson Block, which contained specialist rooms for the teaching of German, Music, Technical Drawing, Geography, Mathematics, Science, English & Drama, as well as accommodating the main School Library on the ground floor of the tower block. 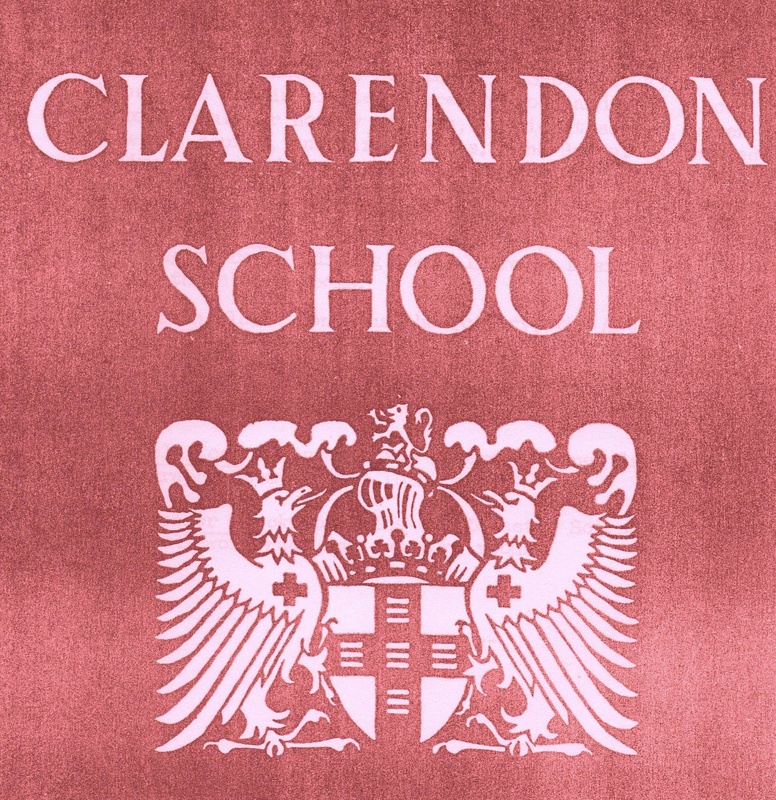 The newest addition to Clarendon School, completed by 1960, is the only part of the original fabric which was extant in the summer of 2010. The Youth Wing (completed in 1963) and Swimming Pool (1962) have long since disappeared. As part of the split-site Sir James Altham Comprehensive School created in September 1967, the sprawling Clarendon campus was eventually closed ten years later. When I visited the area in April 1980, I was surprised to find that several of the older blocks had already been demolished (Altham, Ascham, Capel, Carpender and Morison), but at least some community work was being carried out in the existing Clarendon and Anson blocks. On my last visit in June 2010, accompanied by friend, Tony Hudson, who attended the school from 1958 until 1962, we both had difficulty in orienting ourselves because of the many changes which have taken place on the 19-acre site since 1977. How interesting this information is Susan – my brother Sid went to this school from 11-15 yrs – when you look at the prices for school uniform you can see how things have changed over the years.